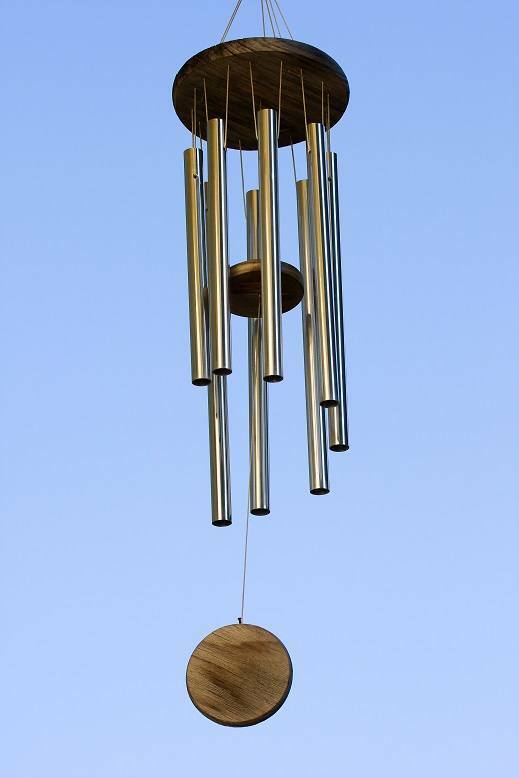 Wind chimes have been used for hundreds of years thanks to their delicate appearance and soothing sounds. We all love a good wind chime, and we love that we can personalize them. A wind chime reflects your personality and should be treated as such. But now your beloved wind chime has broken. No problem, all you have to do is restring it and maybe give it some new life in the process! Here’s how. The wind chime may have broken for many different reasons. Maybe it was wear and tear, or maybe an external force broke it. No problem. Look at the wood, or various pieces and decide what you want to replace (it is broken, after all, why not spruce it up a bit?) If it is time for new wood, beads or paint, decide now and figure out what you want to do with it. Now that you have assessed the extent of the damage and you have decided how you want to spice up your wind chime, it is time to gather your supplies. You can also have needle-nose tweezers or an upholstery needle. These supplies are optional, so don’t stress if you do not have them. First, take the chime ring and put it upside down. We will get back to that in a moment. Take the tubes and look for the old staple holes where the string used to be. If you can’t see them, then take a pencil and mark where you think they should be (space it evenly). Take the chime ring, and mark where the holes are. Now, take the tubes, and lay them around the ring, one hole for each tube. If you want to paint the tubes or the ring, now would be the ideal time to do so; it will not be this easy when the chime has been strung back together. Take the tubes and arrange them from longest to shortest. Look for marks where the clapper hit the tubes. This will be your clue as to where the tubes should go. Do not cut your thread too long. The lower the wind chimes, the more likely the sound will be out of tune. Make sure that these marks are facing the middle of the chime, and when everything has been strung together, they will again line up with the clapper. Take your thread of choice and thread it through all the tubes, making sure that they face the middle. You need to make sure that the centers are all facing the same direction. If you want to add any beads or embellishments, take the time to do so now. Thread your string through the middle of the clapper and the sail. You want to make sure that the sail will be close to the bottom of your longest tube. Now, thread it through the platform. You can choose to tie it securely or make it the longest thread that secures the entire chime. Thread the tubes through the platform. You can also choose to knot them securely on the other end, or you can tie them all at the top, allowing them to support the entire wind chime. The end design is up to you. A broken string does not have to mean that you must throw your beloved chime away. You can just follow these easy steps and you will have the lovely sounds back in your garden in no time. In fact, you could even give it a quick makeover while you are at it! How Does A Hedge Trimmer Work?